Two kicks and one pull is a classic breaststroke drill that lets you focus on your kick and improve your streamline position under water. To do this drill you execute the movements of the regular breaststroke cycle. But instead of kicking once with your legs and pulling once with your arms per stroke cycle, you kick twice with your legs and then pull once with your arms per cycle. Kicking twice during the breaststroke cycle lets you spend more time in the horizontal streamline position with your arms extended forward. This allows you to focus on and gives you the opportunity to improve the streamline position. Kicking twice while being streamlined also makes you more aware of your leg movements and how to properly kick to maximize propulsion and how to recover your legs to minimize drag. Quickly execute the arm stroke phases at the beginning of the drill cycle: outsweep, catch, insweep and recovery forward. Start the first kick during the arm recovery forward, glide for a while, kick a second kick time, glide again for a while, then start a new cycle with the arm stroke. Try to be as horizontal as possible during the streamline phase. Your head should be in line with your trunk. Look straight down towards the bottom of the pool. Have your hands one on top of the other and squeeze your arms against your head during the streamline. Feel the pressure of the water against the inner parts of your legs and feet during the propulsive phase of the kick. Squeeze your legs against each other at the end of the kick and observe a short glide phase in this streamline position. Pay attention to your leg recovery. Try to minimize drag by recovering your legs within the shadow of your upper body. To do this well flex your hips as little as possible, keep your knees shoulder width apart, not more, and imagine bringing your heels towards your buttocks rather than bending your knees. 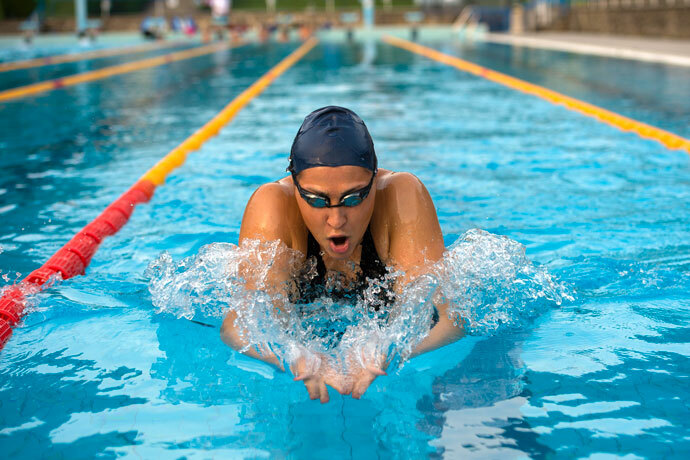 To get the most out of this drill you should do at least 6 lengths in a row in a 25m or 20m pool, or 2 or 3 lengths in a row in an Olympic-sized swimming pool (50m). Try one kick and two pulls as a complementary drill. Thank you so much. This site was really helpful.